8 days you'll never forget - riding and spending time with horses, learning to effectively communicate and read horses to improve your partnership, while living with a Kiwi hosts on a beautiful Rotorua farm. NZ Horse Adventures is a 8 day programme on a rural horse farm only a few hours south of Auckland in the beautiful central North Island area of Rotorua. The farm is a working lifestyle farm as well as home to many animals including horses, chickens and dogs. 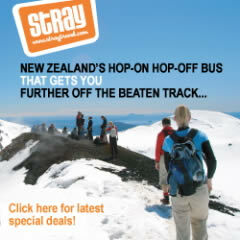 The area boasts some of New Zealand's top tourist attractions including geothermal and mud pools. As you may know New Zealand is famous for it's scenery - made somewhat more famous by the filming of the movie trilogy Lord of the Rings here. We have two program options- one focussed on the horsemanship side of things and one with some added adventure. Did you know that in New Zealand we have the largest number of horses per capita in the world? So we're naturally horse people at heart, as horses have played a big part in the lives of our ancestors.You'll find beach races and horse shows a common thing in small towns as well as a large number of breeding farms - many having produced winning horses in eventing and racing alike. This program allows you to experience a slice of heaven - kiwi style - with horses - what more could you ask for? You'll enjoy friendly hospitality during your stay and feel as though you're "at home" with good food and lots to do - you'll learn alot about horses, natural horsemanship, yourself and riding - no matter what level rider you are. There are two program options - one focused on the art of horsemanship and one with some added adventure. The Adventure Combo Option has an exciting adventure activity every afternoon such as Jet Boating, Zip Lining, Cruising beautiful lakes and 4 Wheel Driving. You'll enjoy friendly hospitality during your stay and feel as though you're "at home" with good food and lots to do - you'll learn a lot about horses, natural horsemanship, yourself and riding - no matter what level rider you are. This experience will bring you closer to understanding a horse, their psychology, why they do the things they do and how you can influence them, their body and behaviour. You will learn the art of working with a horse rather than against them and in the process you will learn an amazing amount about yourself, as horsemanship is largely about working on yourself when you are working with the horse. The program is open to any and all levels of experience with horses.